A Birmingham-based fencing contractor and manufacturer has moved to new, larger premises following an investment of £386,000 from Lloyds Bank Commercial Banking. After securing the financial package Park Lane Fencing vacated its previous 3,000 sq ft base in Hall Green, and moved into a 10,000 sq ft warehouse and office development on Armoury Road in Small Heath. Founded in 1996, the company specialises in the supply and installation of fencing and gates. The relocation will enable the firm to achieve its ambitions for future growth by providing it with more storage, whilst boosting employment by creating four new jobs, taking the team to a total workforce of 25 people. The purchase was aided by Lloyds’ participation in the Funding for Lending Scheme. 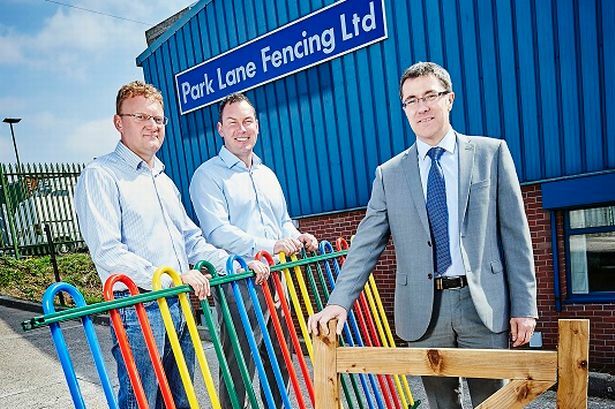 Jason Sheward, director of Park Lane Fencing, said: “We’re pleased to have completed our move into new premises in Small Heath, which has been a key objective for us after outgrowing our previous headquarters.